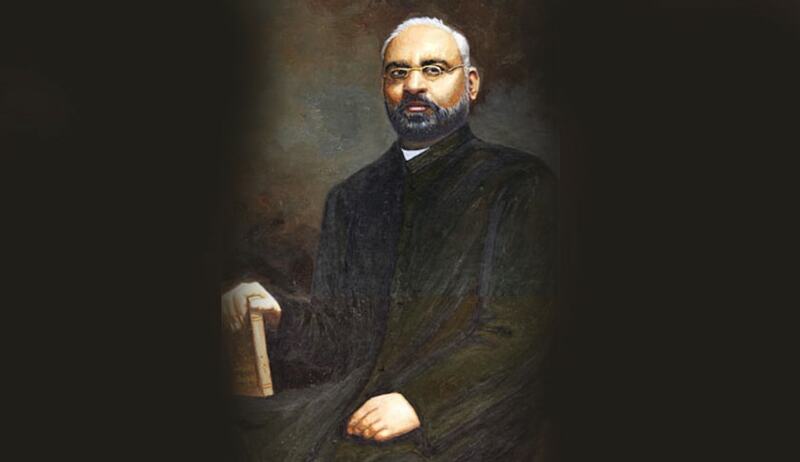 Indian barrister Shyamji Krishna Varma (1857-1930) has posthumously been reinstated at London’s famed Inner Temple, after being disbarred for advocating independence for India. Mahatama Gandhi was also reinstated in 1998, after being expelled in 1922 following his conviction for sedition in the wake of protests he organized. Mr. Varma was a prominent barrister and political activist before the First World War. In 1905 he founded the India House in London, to function as a hostel for Indian students to avoid racial discrimination while seeking accommodation in the capital. It swiftly developed as a structured meeting point for radical nationalists among Indian students in Britain and one of the most prominent centres for revolutionary Indian nationalism outside India. Most famous among the members of this organization was Veer Savarkar. He made his political debut with The Indian Sociologist. This was an assertive, ideological monthly aimed at inspiring mass opposition to British rule, which stimulated many intellectuals to fight for the independence of India. He was disbarred after the conduct in publishing the letter was found “unworthy of a barrister”. Such was his devotion to the cause hat he had prepaid arrangements with the Swiss Government and cemetery that his and his wife’s ashes be preserved for 100 years and sent to India whenever it became independent. However, even after India obtained independence in 1947, Mr. Varma’s ashes remained in Switzerland despite his last wishes. It was in August 2003, the then Chief Minister of Gujarat, Narendra Modi, went to Switzerland and personally brought back the ashes of Shyamji Krishna Varma and his wife. His reinstatement is intended as “a mark of the Inn's commitment to the principle of free speech, which remains as important as it ever was to the establishment of a free society”. It hoped that the reinstatement would “strengthen its links with its many Indian members”.